A big bay mare with loopy ears. She was not a beauty, but what a racing mare! Her tactics: wait quietly at the back and finish at full speed. 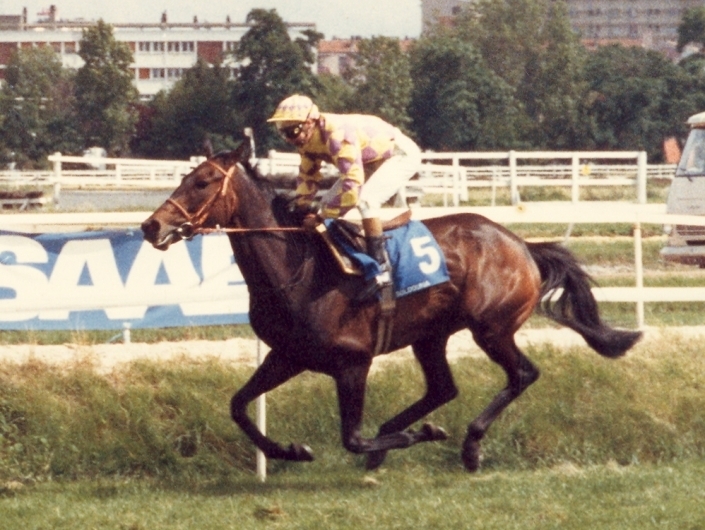 She won Grand Prix de Toulouse (listed race) and respectable other races in the west, always on the heavy ground she liked. She has become an excellent brood mare, dam of very good horses like Amon Quercus and the classic Maia Eria.